Strainprint Community, an interactive, online platform that provides education and support for the cannabis community is pleased to announce a partnership with Cannabis At Work (CAW), the leading source for cannabis jobs in Canada, delivering recruitment services, online industry training, and HR consulting services to the cannabis industry. Marketing marijuana: Industry experts weigh in on how to handle it in Mass. Marijuana business hopefuls are eyeing different ways to market their products in Massachusetts as they face increasing competition, along with a strict regulatory structure. In a greenhouse at the bottom of Horsebarn Hill, a few plants stand much taller than the rest, the tops of their green, dissected leaves tickling the grow lights that feed them 18 hours of “sunshine” per day. 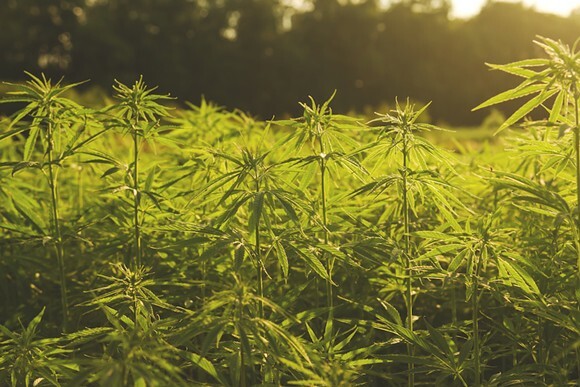 That still wasn’t enough for these hemp plants, which started to flower despite researchers’ best efforts to keep them “vegging out,” or growing in a vegetative state. Grown as part of UConn’s new course on the horticulture of cannabis — one of the first of its kind in the U.S. — these young, leggy weeds are now destined for the trash, in favor of plants that are still bud-free. Fourth-generation Oakland native Tucky Blunt grew up around weed. His grandmother used it. So did his parents and his friends. Blunt (yes, that's his real last name) started selling to friends in the neighborhood when he was 16. He was usually careful, buying in bulk from a trusted supplier and selling to customers who'd call him to meet up. After nearly a decade of illegal sales, it was $80 worth of pot that got him in trouble. He was found with a handful of baggies stashed in his pants when police officers came for him, tipped off by someone Blunt thought was a friend. The 25 recipients fortunate enough to have been selected in Ontario’s recent cannabis retail lottery are now faced with transforming lady luck into a solid business operation. “The AGCO expects that applicants will prepare plans, which account for all aspects of running a business,” says Raymond Kahnert, media contact for the Alcohol and Gaming Commission of Ontario (AGCO) in Toronto. Who knew this town's lowest of lows would be remedied by getting high. Canopy Growth Corporation, a medical marijuana startup in 2013, was looking for a place to spark its business. Growing Cannabis from seeds for people who are interested in doing this at home is a new thing for many people. We recognize that. It’s also worth pointing out that the law is changing rapidly around the topic of Cannabis, with many countries now moving to legalize some, if not all, aspects of growing or possessing it. Ensure it’s legal for you in your country before proceeding. That’s solely your responsibility and yours alone. Two delivery drivers who were arrested in Oklahoma for shipping legal hemp have been released from jail, although they are still facing charges for smuggling cannabis, writes Joseph Misulonas.